The beautiful city by the Volga River will have a host of activities for football fans and other visitors during the World Cup. Volgograd is one of the host cities of the FIFA World Cup, which will take place in the summer of 2018 in Russia. Preparations for the championship have already begun. The city authorities are busy developing plans for a “fans’ city”, where people will be given the chance not just to relax, but also to get acquainted with the rich culture of the Lower Volga region. The city, on the bank of the River Volga, is being built to impress both fans and participants in the championship not only with its amazing landscapes but also with a high standard of organisation. Construction of the Victory (Pobeda) stadium, which will be the venue for the 2018 FIFA World Cup, is to begin in the near future. It will be capable of holding 45 thousand spectators. In addition, a fan zone will be created on the bank of the Volga River, the largest river in Europe. According to the plan, the city’s central streets will become pedestrian zones during the matches. Chairman of the Committee for the Preparation and Holding of the FIFA World Cup 2018 in the Volgograd Region, Igor Kozlov says. According to the Organising Committee’s plan, in between the matches, tourists will be able to get acquainted with the rich history of the city on the Volga River. It has changed its name three times: first it was Tsaritsyn, and in Soviet times it became Stalingrad. It was also the scene of a decisive battle in which Hitler’s troops were defeated in 1945. After that the city was literally razed to the ground. Of all the historic buildings, only one 18th century Orthodox Church survived. However, many natural parks and even caves once inhabited by hermit monks can be found in the suburbs, their original appearance still preserved. 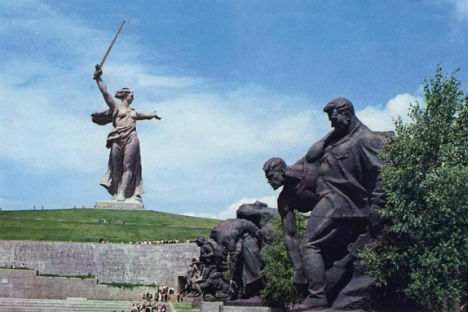 By the way, Volgograd also has its own culinary history, guide, Galina Gordeeva says. There are still six years to go for the final of the FIFA World Cup 2018, but the local authorities are already preparing the infrastructure for an influx of guests. Five-star hotels and budget mini-hotels are being built throughout the city; projects of bypasses and car parks are also underway. Expansion of the international airport will soon get underway too. By the way, you can get from Volgograd to Moscow in an hour and a half by plane, or you can take a river cruise. And though going by road will take a few days, tourists doing so will have a chance to visit at least a dozen Russian cities.